Use a pH indicator to show that as CO2 is added to water the pH drops. 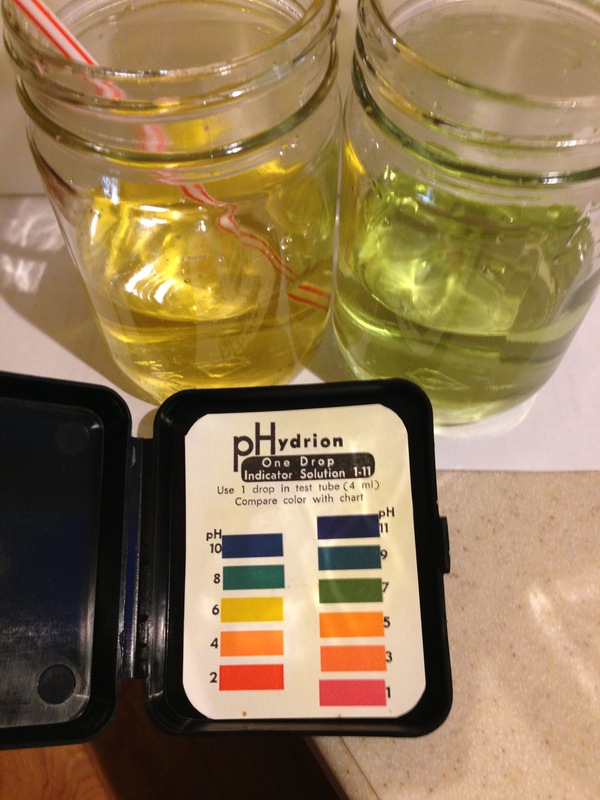 Add a couple of drops of indicator dye to the water in the cup (or dip the pH strip) to measure the pH of the water. It should be around 7. 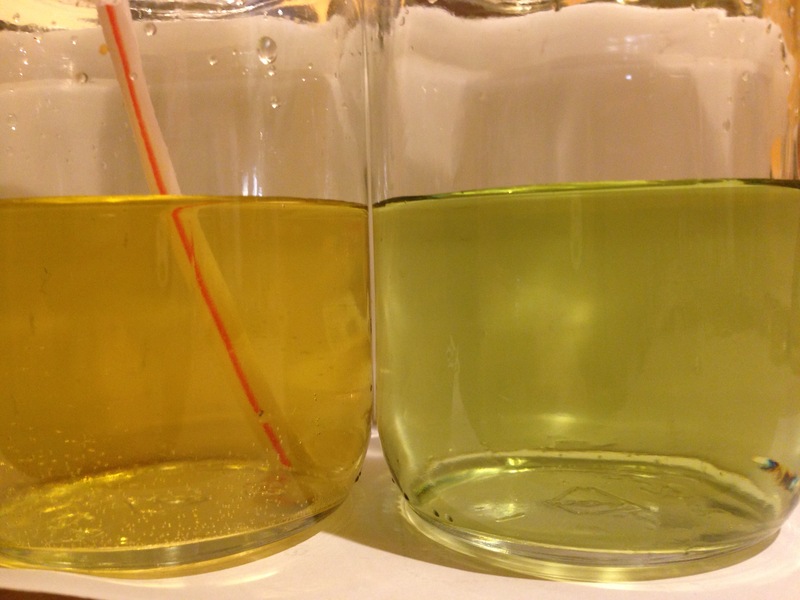 Students blow through the straw into the water, until the colour of the water changes. Ours changed from green to yellow. Read the new pH on the chart - it will have dropped i.e. become more acid. Discuss what happened: as you blew into the water, the carbon dioxide in the air exhaled dissolved in the water and made it more acidic. This change was shown by the indicator. When you exert yourself you need more oxygen. You also release more CO2, which makes your blood more acidic. A part of the brain called the medulla oblongata measures the pH of the blood, so can determine how much CO2 is in the blood. Once the acidity gets to a certain level, the medulla oblongata signals your body to speed up breathing and to increase heart rate, which will increase O2 levels in the blood again.